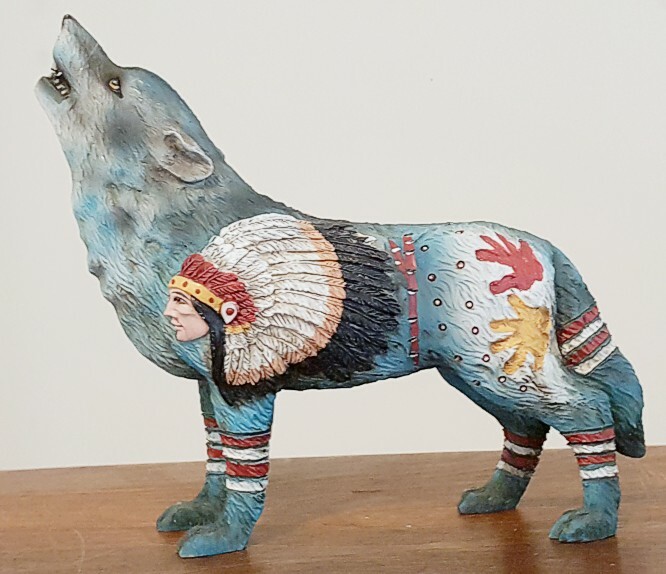 The Chief Wolf Figurine is part of the Spirit Wolf Collection. The howling wolf has hand painted designs on the body. It is very detailed and we love the colors. Comes in a white gift box. This would make a wonderful gift for a collector.